Diamond-cut, hollow tube. 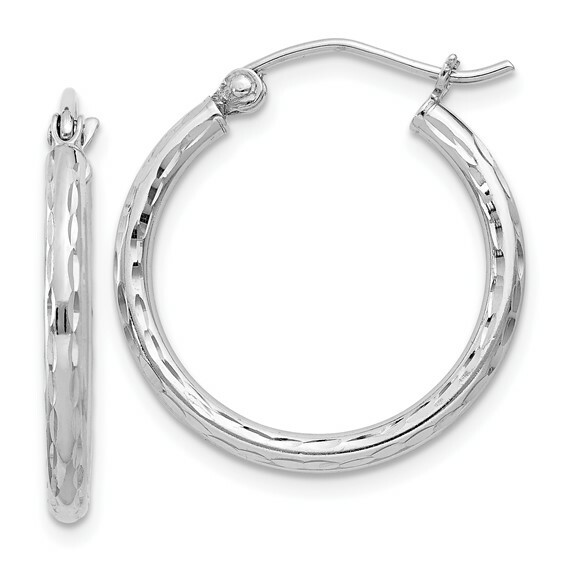 Polished sterling silver. Thickness: 2mm. Weight:1.25 grams. Earrings measure 3/4 inch tall. Each earring is the size of a penny. Made in USA.